I went through the following tutorial on Puralsight to learn the basics of using XGen. I then experimented with this to try and create a soft fleecy body for the Octaves. Learning a new system and trying to apply it in time for a deadline was quite challenging. University projects were good preparation for this but I found that there was an extra level of stress involved in the workplace. An important note that wasn’t explained in the tutorial is about file paths. XGen likes to create folders for each modification that is applied to the groom. If any of the file paths to these folders are wrong then the groom will disappear. I found that XGen would sometimes make errors and save folders to the wrong collection directory. It’s therefore important to check that the initial folder creation is where you want it to be. I also found it helpful when working across multiple computers to make sure that all the file paths are relative. Instead of having the full path directory, start the file path with “$DESC/” so that the ‘description’ folder will be searched from whatever collection the XGen is set to. XGen also seemed to have a bug for me. Whenever I imported a collection into a scene, two ‘description’ folders would be created within the ‘collection’ folder. One of these folders would contain all the information needed but would be ignored by XGen while the other folder would be read by XGen but contained an empty setup. This was fixed by a simple cut and paste. Maybe there was a reason for this? These are the notes from a tutorial I did in order to to test out whether we could use this method for adding detail to our monster characters in Maya. The idea is to make a low poly mesh in Maya and then generate a normal/displacement map from the sculpted detail in Mudbox which can be brought back to Maya for rendering. Exporting as an .obj file exports the geometry and UV map etc. .fbx contains more detail. 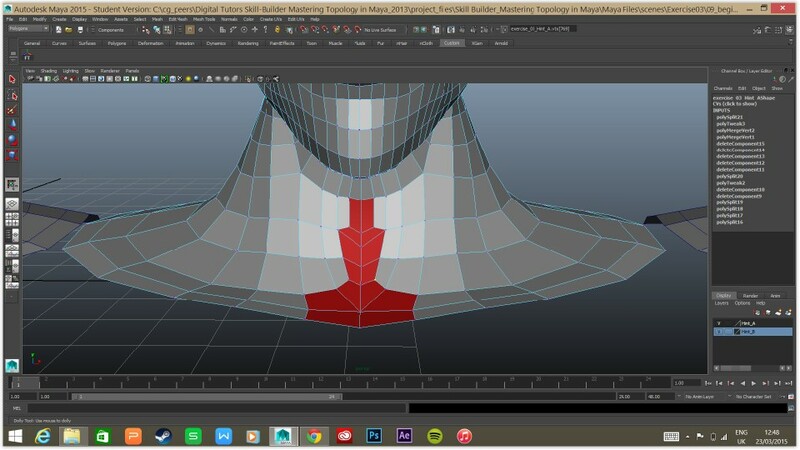 The grid size in Maya and Mudbox don’t match. 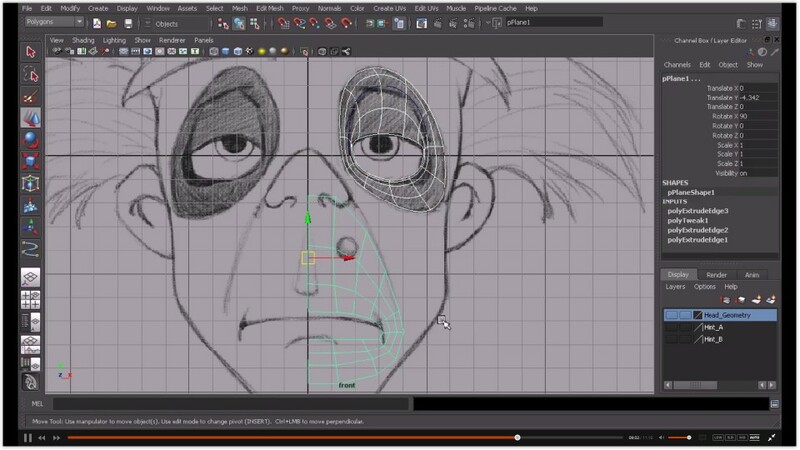 In Maya, freeze the transformations before exporting. When exporting from Mudbox, check window>preferences and check the settings e.g. fbx blendshape. Then select the object and >export. You can export your paint layer by right clicking and exporting maps. If you want to export your paint layers separately, make sure that ‘flatten layers on export’ is turned off in the preferences. Paint the desired layers. Then select the object and export as an fbx. This will automatically set up a layered shader of the different paint layers. 04 Transferring normal and displacement maps. 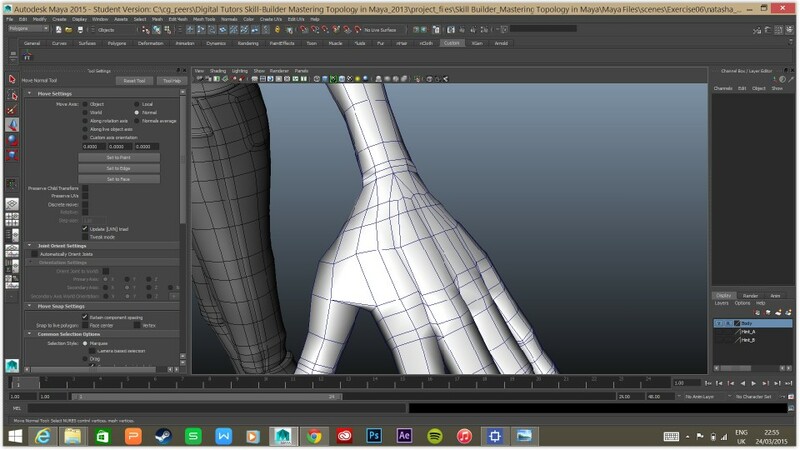 05 Using the’ send to’ features in maya and mudbox. 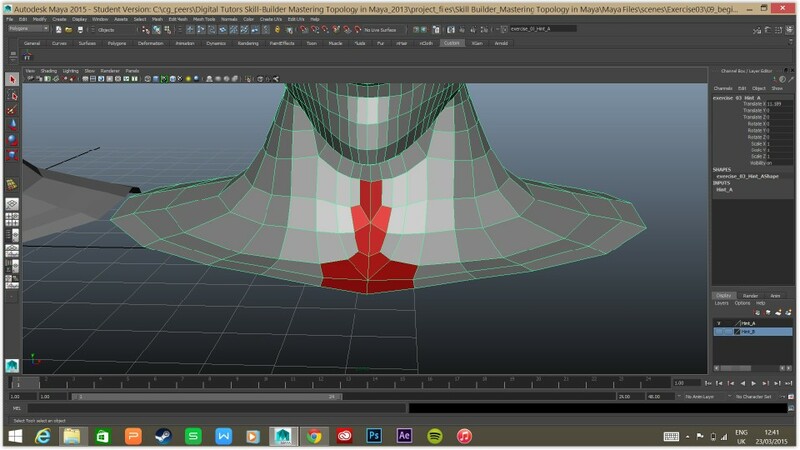 06 Creating base meshes in maya. 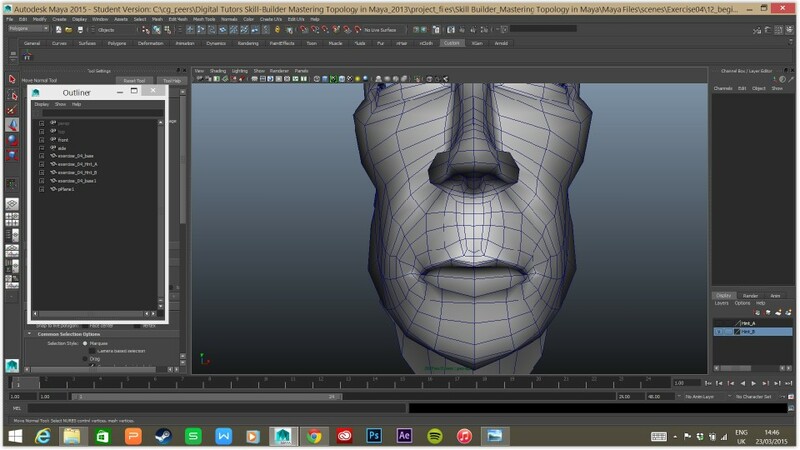 Meshes with topology problems such as non-manifold topology will not be able to subdivide in Mudbox. Try and create an even quad layout. 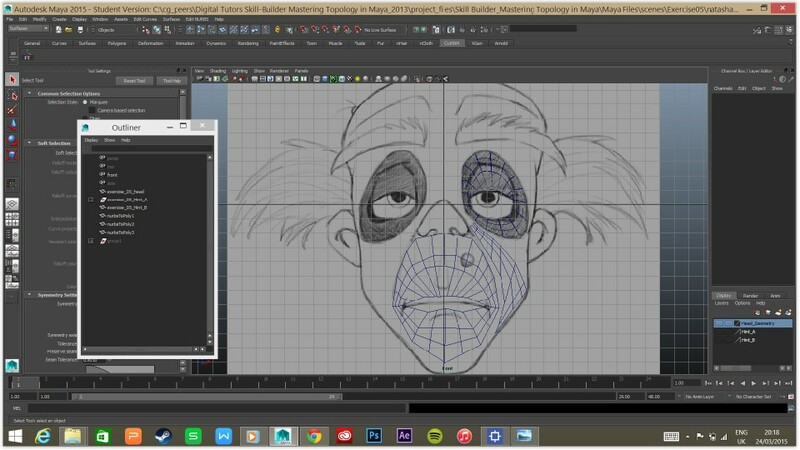 You can create UVs in Mudbox from the menu which will break each face up into shapeless coordinates. 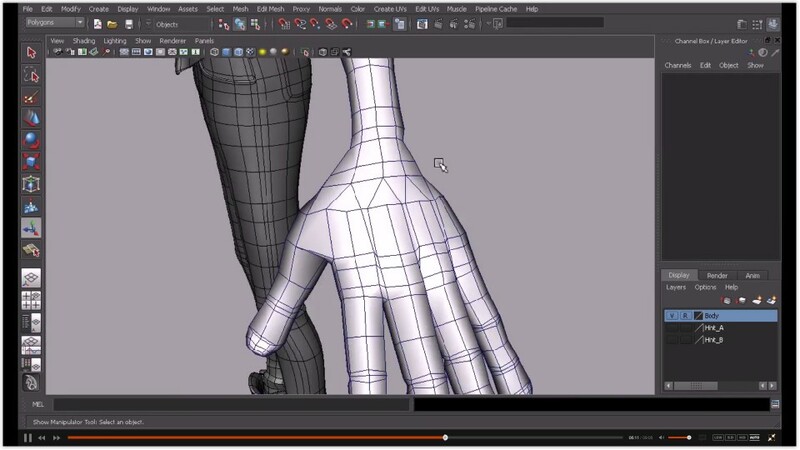 You can export UVs as an .obj file and select the object in Mudbox and import UVs. 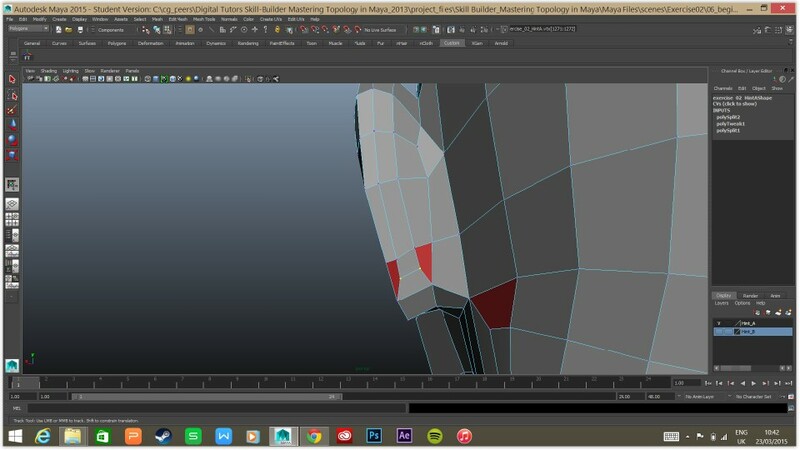 You can tile the UVs in Maya/Mudbox also so as to dedicate more resolution to each area. Paint layers are based on the UV layout but sculpt layers are not. You can however transfer paint layers from bad UVs onto good UVs for example. 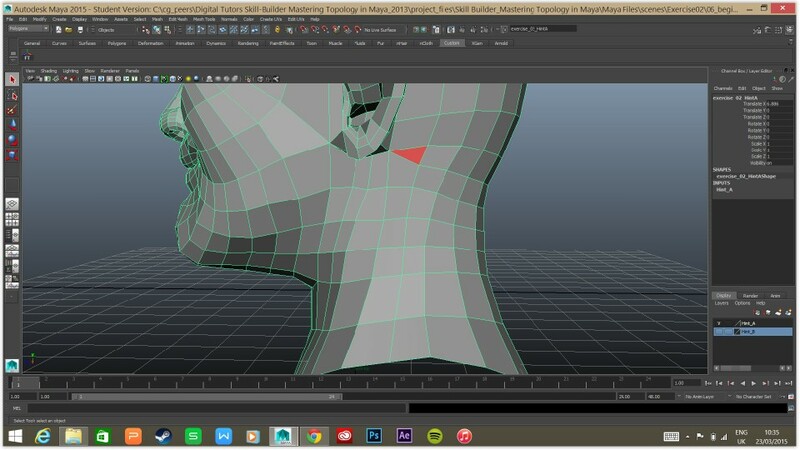 08 Modifying and updating topology. 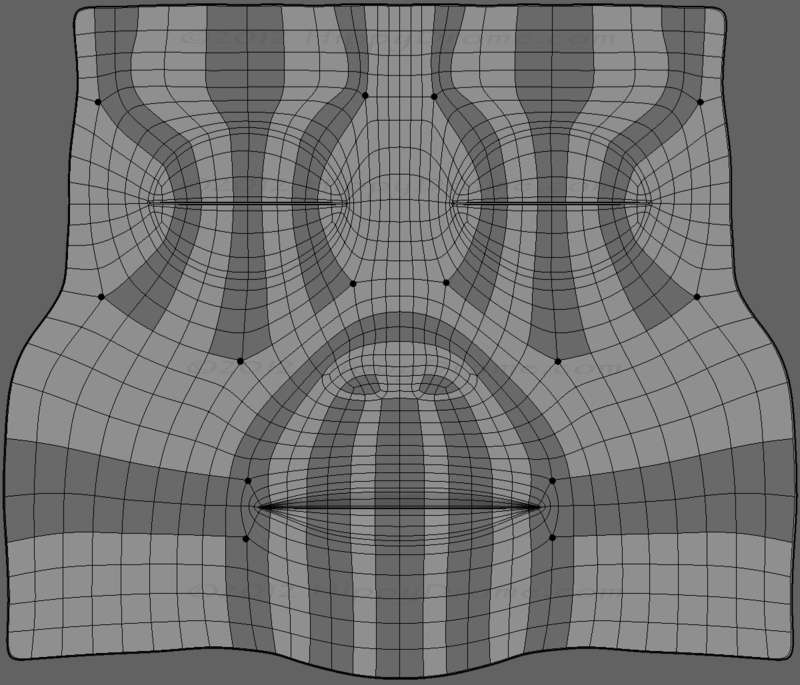 Sometimes as we sculpt, the flow of topology on the original mesh may not match up with our sculpted result. 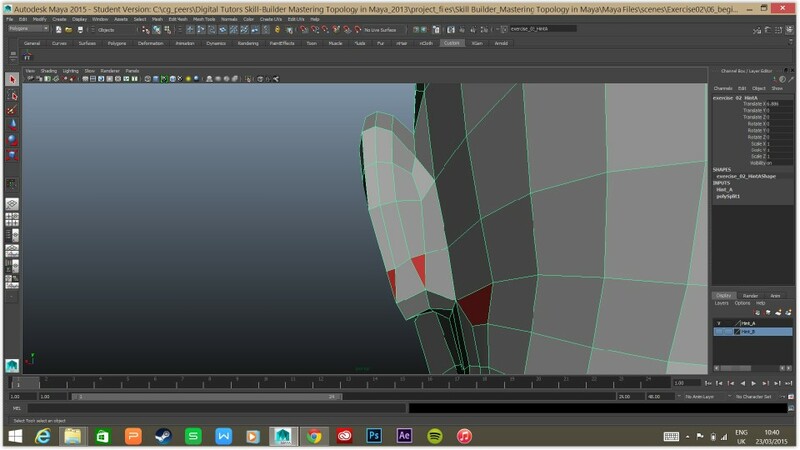 Reroute the topology to match the detail. 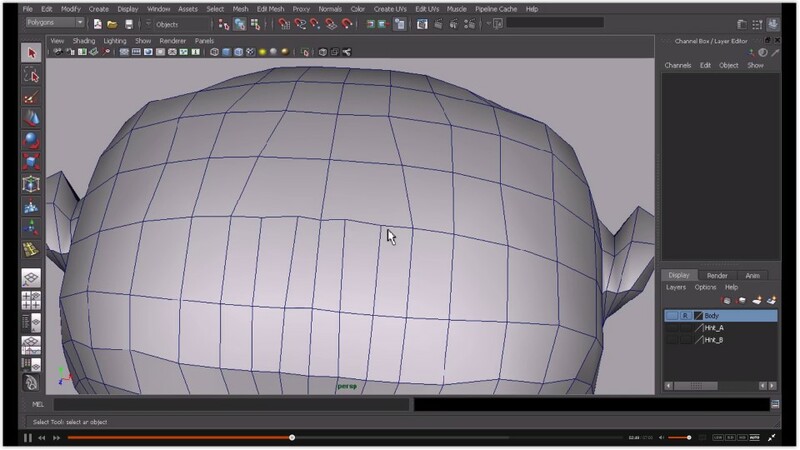 Send your geometry from mudbox over to maya as a guide for adding new geometry around it. 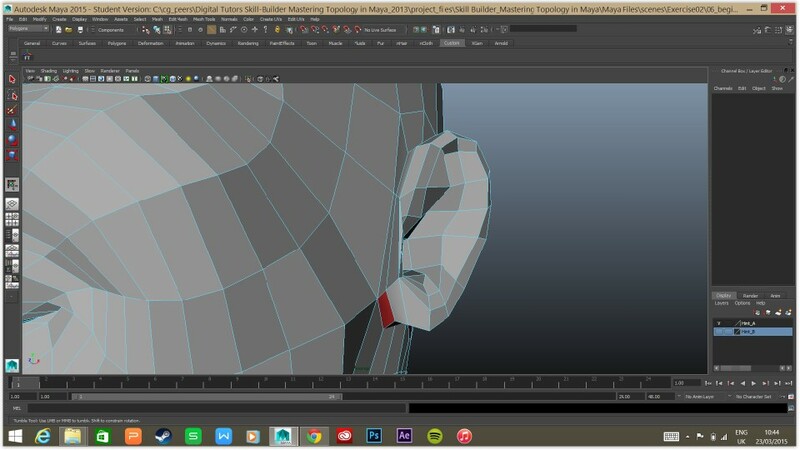 A rig set up in Maya can be imported along with the model. 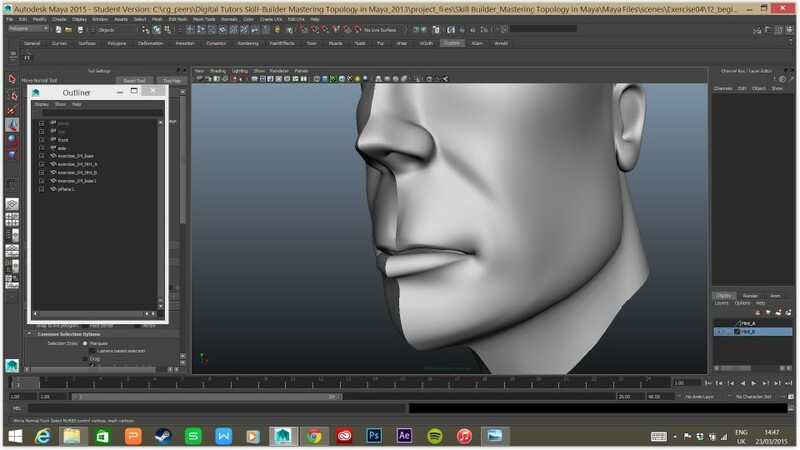 The rig is accessed in Mudbox through the ‘pose tools’ tray along the bottom. A model can be exported as an .fbx – make sure the ‘import rig’ option is ticked in the preferences for .fbx. 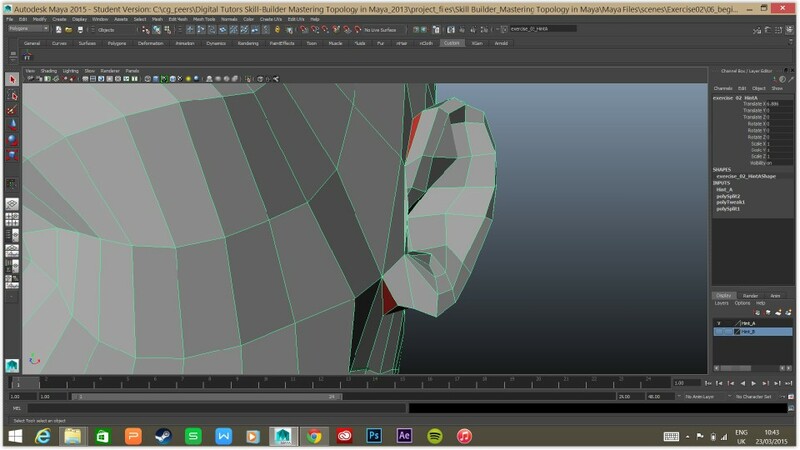 This is the mesh that I drew on top of Siobhan’s face for reference during modeling. 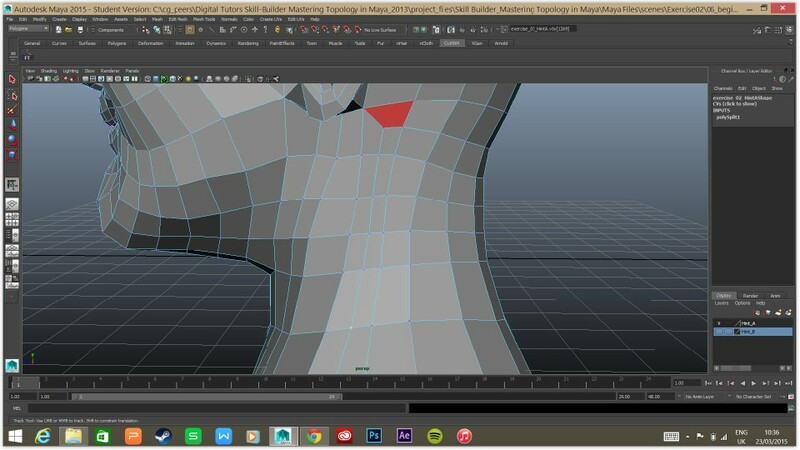 I had also aligned the front and side views in Photoshop but there was still some areas like the nostrils that didn’t line up perfectly in Maya.